Three bedroom and three bathroom end unit located in awesome family complex close to school, parks and transportation. 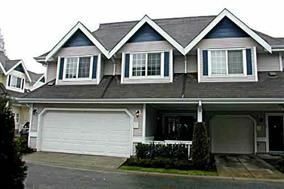 This large two level townhome features double garage, two patio areas, gas fireplace, built-ion vacuum, lots of storage and three of the most spacious bedrooms for a townhome. Great opportunity to build equity and make your own cosmetic changes as this home is in need of TLC and priced well below the last sale of a unit of this size in this complex. Call today to view!